Benefits of work from home jobs can be very lucrative , and rewarding if you are willing to take the time to do some real research into something you are passion about or have a great interest in, and not get caught up in the hype that you are going to get rich overnight. 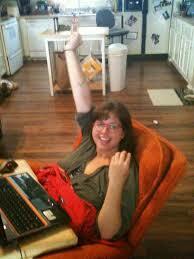 Other benefits of work from home jobs are, you do not have to be awakened with an alarm clock. You can sleep until noon, wear your house coat all day if you want, and enjoy your family rather than rushing out the door,kissing your spouse as you stumble out the door with coffee cup in hand. You can relax have a real breakfast. Sit down and enjoy a couple of cups of coffee if you want. See the kids off to school,will have to pay less child care, take a morning walk, save gas with less travel time instead of being stressed and rushing off to work to sit in traffic on your morning commute. 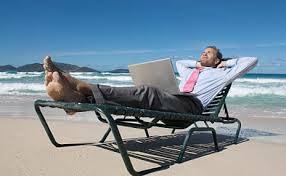 You will be in control of your work environment, working from home not confined to an office you can work almost anywhere, on the deck, on the beach etc. You have the freedom to start your day any time you please, but don’t forget to do some work. You can be very casual working from home, like working in sweats or your pj. Be careful not so slip into laziness, since you’re not under any pressure to start work at any given time. Working from home, it may not be for everyone to work from home, mixing work and private life without regulated working hours can be tough. The distractions at home can be great. You must be very self discipline to work from home, kids, TV, phone ringing etc, and just getting motivated. You must treat it as a real job. Set some hours aside that you are going to totally devote to this. 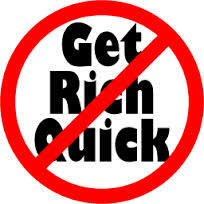 You have to be motivated enough to treat this as a real job or business are you might be better off at the office 9-5. You have to devote real time to it. Turn off TV; ask friends, family to not interrupt you for a set time unless it is very important, emergency, etc. What you need to start work from home business. To start a home business online, has a very low overhead, you probably have most of the things you need already, like a computer with internet access, and printer. Other things you will need, a website that can be builded in 5 minutes or less free,with all the dummy proof building platforms on the web anyone can have a professional looking website up literally in minutes. Hosting and an autoresponder to build your list . Each of these services are about $10 dollars a year for each of them. You can try all this with a free website at Wealthy Affiliate. It won’t hurt to look! I can definitely see the benefits of working from home. Why drive to work when you can just get about of bed and get on your computer. Hi Ted, thanks for viewing my website. Yep more and more people are working from home using there computers as the online world continues to emerge.